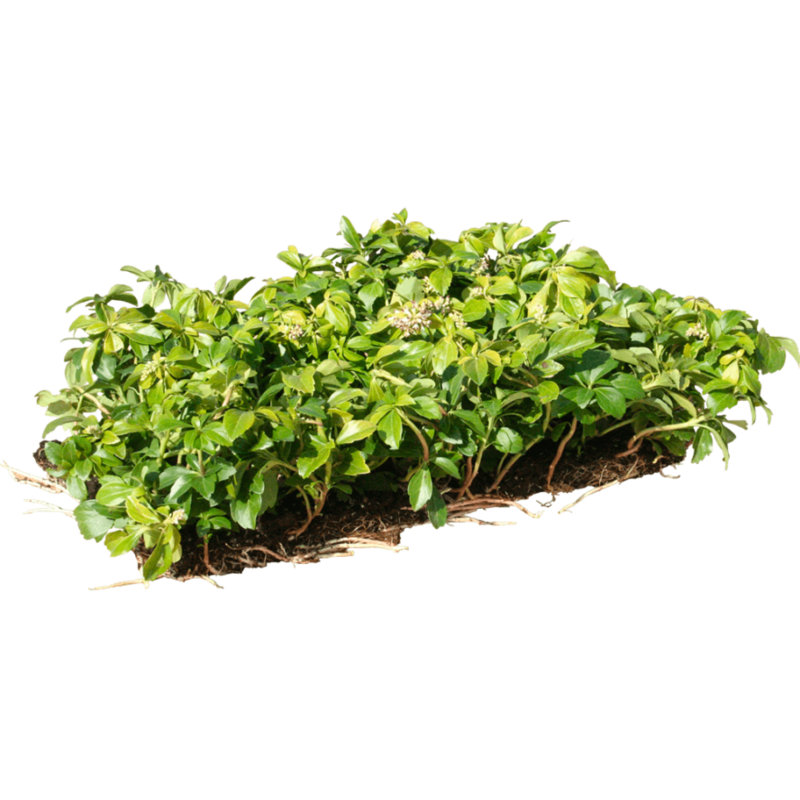 The Pachysandra terminalis is an evergreen perennial, elegant, slow-growing ground cover plant. Thanks to its hard-wearing quality it is suitable for saline soils and urban areas exposed to high levels of pollution. The mature clod of Pachysandra terminalis of Nordest Prati allows you to cover immediately the designated area. Due to the slow-growing characteristic of this plant, with traditional planting methods you would have to wait at least two years to reach the same result.